It truly does seem like there is a "National Day of *Insert Random Object or Cause" here every single day now. I suppose the encroachment of social media upon our everyday lives has made these usually trivial "celebrations" more into the mainstream, as people grasp onto anything for attention on Twitter, Facebook, Snap Chat, etc. However, for the most part, it's harmless fun and draws our focus away from the stresses of life and the often all out disgust and vitriol which usually populates the timelines, walls, feeds, etc. 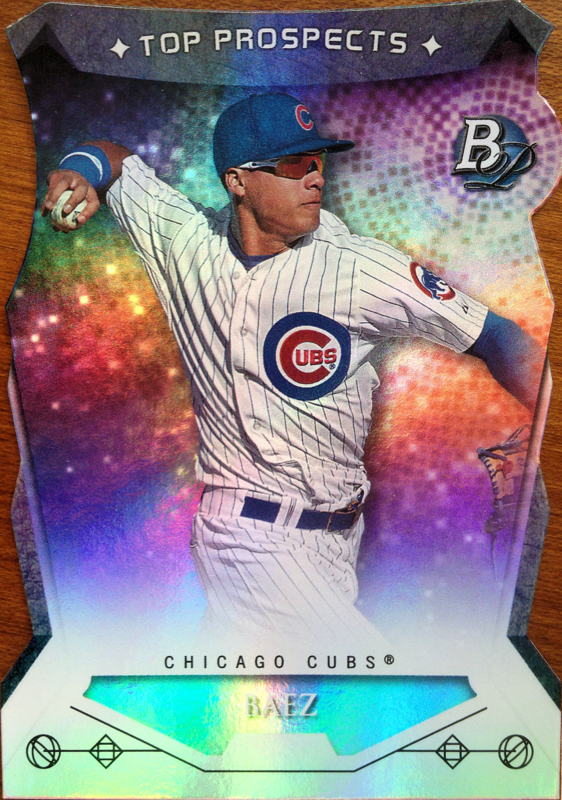 As if Javy Baez needs to look any cooler. 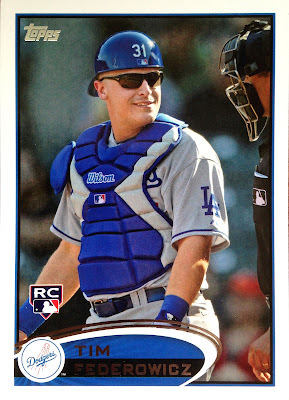 Of course, these sweet shades could be entirely necessary, seeing as this die-cut, Top Prospects insert from Bowman Platinum from a few years back is so shiny that it actually might be capable of burning corneas if viewed unprotected. Here we have a pair of outfielders who know that while playing in the confines of Wrigley Field, the sun can be anything but friendly. 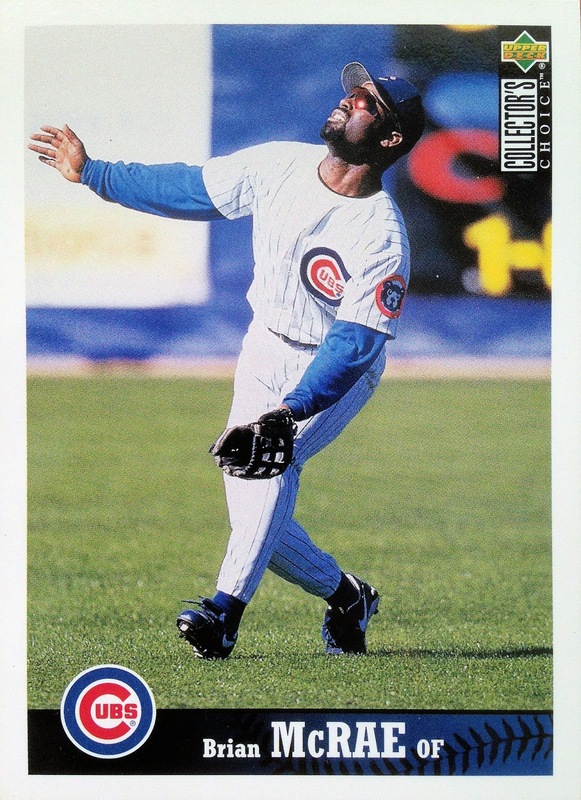 That being said, Brian McRae is obviously playing in some other park on this UD Collector's Choice single, but my statement still stands. 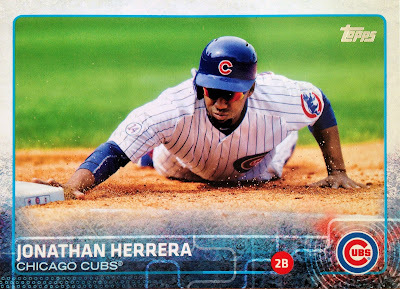 Jonathan Herrera, I assume, is sliding back into first on a pick off attempt and, though that's not the protection his glasses are designed for, I can only hope that his shades helped to deflect some of that dirt and dust from his eye balls. That can be downright painful, am I right? A lot of catchers throw shade at the umpire, especially when strike calls are blown - not Tim Federowicz. No, no - the short-term Cubs catcher (who didn't stick around long enough for a Cubs card) is showing off the shade instead on his 2012 Topps rookie card. No word on if the signal caller was impressed, but you have to try everything to curry the blue's favor. 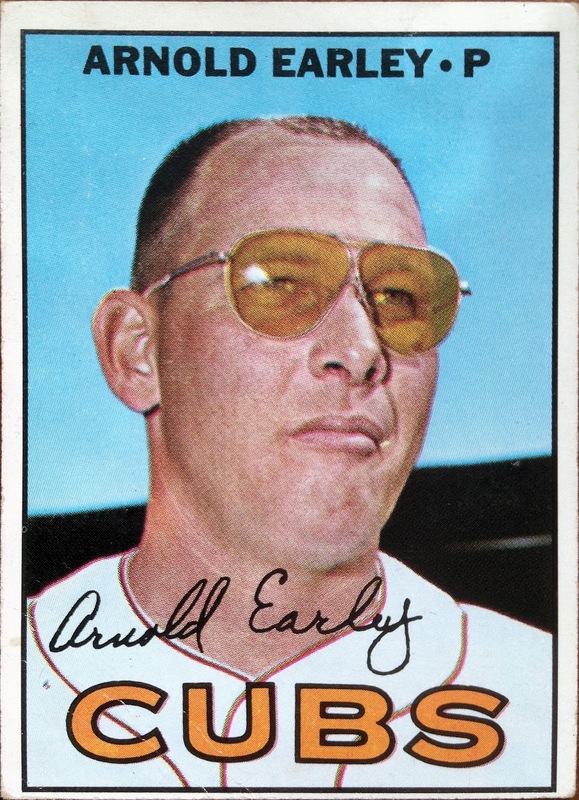 To be fair, I'm not entirely sure that Mr. Earley isn't just sporting his regular eye-ware on his vintage 1967 Topps card. However, the yellowish tint on those vaguely aviator-like, artifacts of their time glasses is so dark that I have to believe that they at least helped somewhat with the glare from the sun. At any rate, I will take any excuse I could come up with to show off this card because... I mean... just look at it! As an added bonus, this is the veteran reliever's only mainstream baseball card and, thus, his only Chicago Cubs card. Therefore, this glorious piece of vintage won't ever be knocked out of my CATRC. 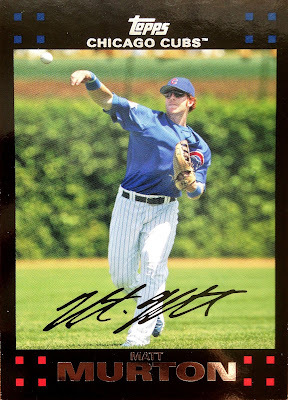 Strange though, that the eight-year MLB starter would only receive one card from Topps, especially since 7 of his 8 years in the Bigs were spent with the Red Sox, whose jersey you can clearly see he is sporting on the card in question. So, there you have it, a handful of shaded Cubs in celebration of National Sunglasses Day. Now, in order to continue properly celebrating this momentous holiday, I highly encourage you to go out and enjoy what's left of this beautiful, summer day... with proper UV protection, of course! My dad wore those yellow tinted glasses all the time, into the 90s and they were shaped just like the ones worn by Arnold Early. Cool. 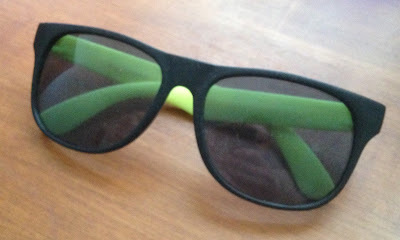 I haven't wore sunglasses in years... but I still have most of the ones I've worn throughout the years. 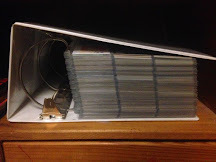 Once a collector... always a collector... right? As for sunglasses on cardboard... the only guy that truly stands out to me (at this moment) is Kent Tekulve. But I also remember one of those early 90's Pinnacle sets having a "Shades" subset.